Field-assembled energy recovery wheel cassettes are cut into halves or quarters and marked for reassembly to fit through standard doorways and allow for installation in limited-access areas. 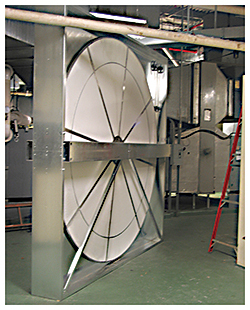 Wheels recycle up to 80 percent of heating and cooling energy contained in exhaust air. Wheel segments can be removed for cleaning.